Shams Network for Monitoring Election in Iraq , founded in December 2004 by a group of Iraqi NGOs who participated in different training on observing election in Jordan by UN, EU , FES , ACHRS. Shams Network for Monitoring Election rained 3000 local observer in alla provinces of Iraq. Observing the national referendum on constitution on 15.10.2005 , by 2000 local observer. Observing national parliament election on 15.12.2005 by 3000 local observer. See the report. Arranging 25 workshops on women and youth political participation. Firs Network which observed election camping in Iraq. A team of Shams network observed the election in 2005 in Poland , the team invited b European Institute for Democracy. A team of Shams network participated in observing the elections in Jordan 2007 . 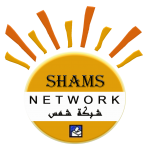 = Shams Network for Monitoring Election is member of Arab network for elections. Which is consist of NGOs form 15 Arab country. – Shams Network for Monitoring Election activities appreciated formal letters by Iraqi high commission for elections.